Kabbalah is an ancient wisdom teaching that reveals how Life works by uncovering the hidden mysteries of the Bible and this is also why it has been referred to as the “Wisdom of Truth”. It offers an explanation into the deepest essence of God, His relationship with the world and man, highlighting the purpose of Creation. It is a sacred map of the consciousness of man with the aim of supporting us in reconnection with the Source so that man may become an instrument of God’s Will on earth, an instrument of the Light in the process of manifesting Heaven on Earth. This map has also been referred to as the Tree of Life as, since the old times, trees have been used in sacred literature to depict the existing connection between man and the divine; the Buddha enlightened under a tree, Odin gained his supernatural abilities under a tree, Pacal Votan, the famous Mayan king, was portrayed on monuments with an emergent world tree on his headdress, etc. Through the Bible God’s holy men have been described as trees, like strong oaks with many branches and leaves bearing fruits, as symbolic of those who have devoted themselves to the unfoldment of God’s plan on earth by committing to their own inner soul – the mediator between Heaven and earth. The oak represents courage, strength, perseverance, long life and the protective power of faith. The Hebrew name for oak comes from the word providence which means divine guidance and it has been associated with God’s ability to see ahead. Symbolically at the 4 corners of the tree we have the 4 angels of the Kabbalah supporting the inner connection to the Spirit and the manifestation of our light on the planet so that we may fully attune to the Divine qualities that we have come here to master. The 4 Angels personify the different levels of our being: the Guardian Angel carries the quality of our mission and purpose, the Heart Angel expresses the way we feel and relates to the world from the feeling point of view, the two Intellect Angels reflect our way of thinking, both in relation to our Higher Self/soul and our daily life. During this 5-day course we will talk about the development of the Light Body in relation to the 72 angel names, the concept of the transformation of the Homo Sapiens into the Homo Luminous described in the Mayan prophecies, as referred by the anthropologist Alberto Villoldo; we will explore the 72 angel names in relation to their triplets made up of the 22 Hebrew letters in order to connect with the heavenly divine-consciousness they carry with the purpose of revealing the qualities that we have come here to embody so that we may become the instrument of the Light that we have chosen to be. The music of Emiliano Toso, who works with the 432Hz frequencies, will accompany us throughout our practical experiences in order to help us get in touch with the energy/intelligences of the angels on a cellular level. Emiliano Toso will be with us on 30th October and offer us information about the effects of sound on the DNA. Massimiliano Tosi will play the Gong, an ancient instrument infused with the 72 angel names, which holds the power of taking the participants into a deep state of meditation and transformative process. At the end of the course the participants will be able to offer individual consultations to the public. 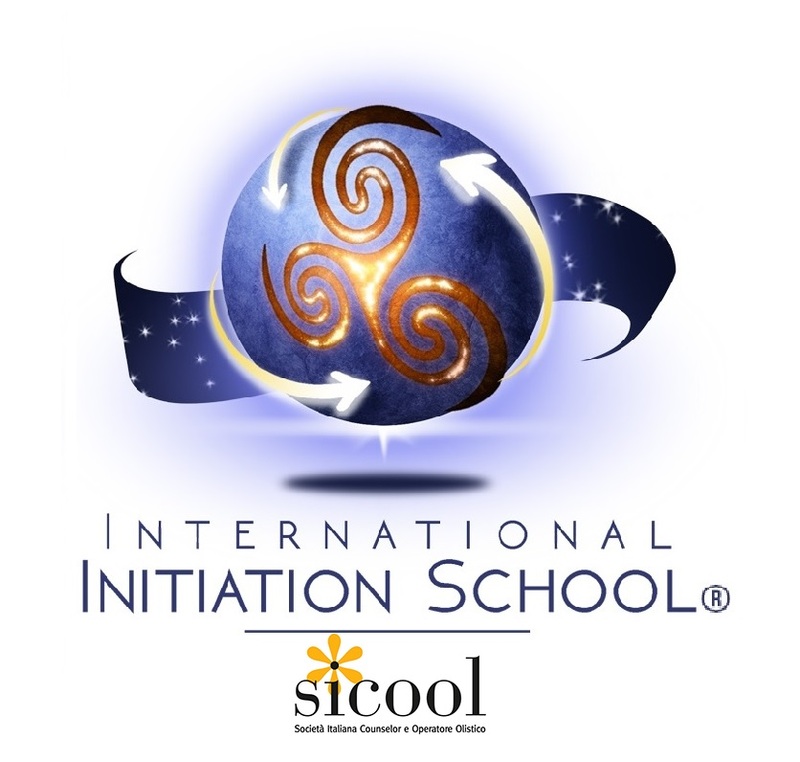 This course, organized and credited by the International Initiation School as part of the Soul Facilitator Formation, is open to all participants and requires no pre-requisites. At the end of the course participants will be offered individual consultations to the public. _ PROMOTIONAL COST*: 460 € (VAT included) for registration by 29th September 2017 through the deposit of € 190 (payoff by October 24th, 2017). _ NORMAL COST*: 590 € (VAT included) for entries after 29th September 2017. * The cost of the IIS Event includes instruction, course manual, IIS participation attestation, coffee breaks - meals and accommodation ARE NOT included.